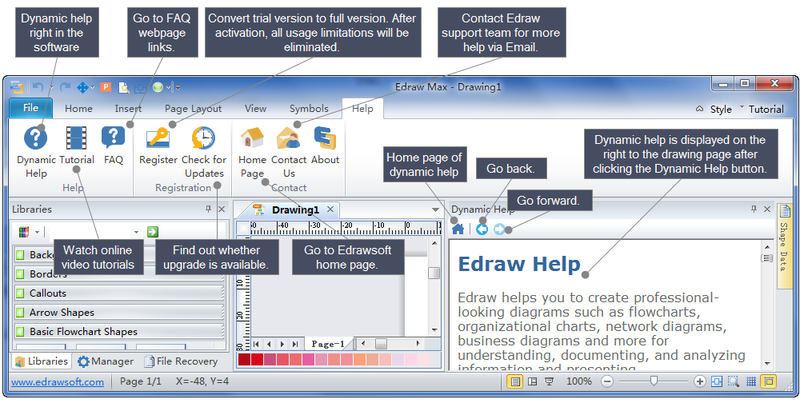 Edraw user interface is similar with Microsoft Program interface, which can minimize the learning curve. To help users get a quick start, we have created a detailed guide. 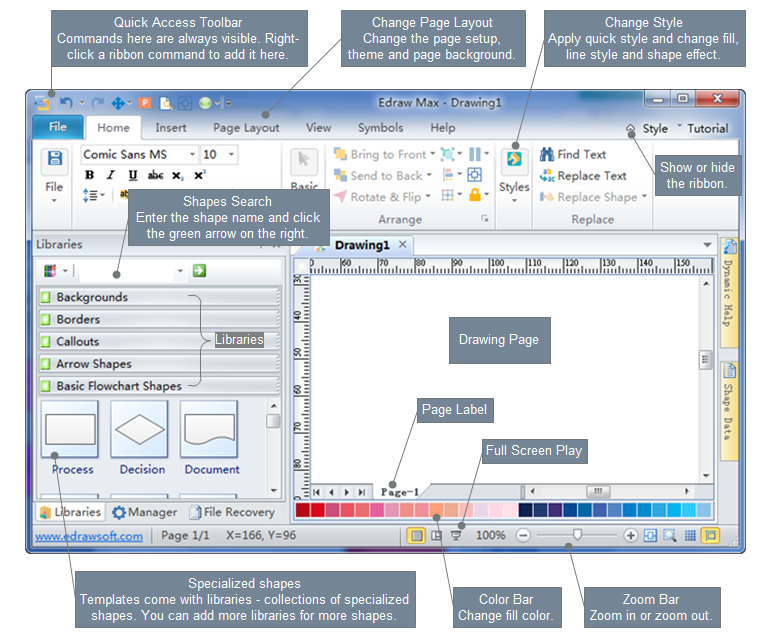 Edraw user interface includes 7 major menus: File, Home, Insert, Page Layout, View, Symbols and Help. These menus are introduced in detail with illustrations below. A menu's background turns white after selected. Clicking another menu turns off the menu selected before. Except for the above main menus, Edraw also includes special document tools for two most commonly used types of diagrams. They are Mind Map and Org Chart. Please go to Mind Map and Org Chart Tools to learn more about them.